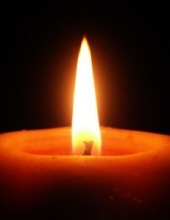 Catherine Mary Fennelly, 100 years old, died at her home of twenty years in Ashlar Village in Wallingford, Connecticut on January 12, 2019. Catherine, or “Kate,” was born on October 24, 1918 on Staten Island in New York City. She was the daughter of Patrick Henry Fennelly and Catherine Agnes Schrowang Fennelly. As a teenager she attended an advanced academic program at New Haven High School (now Hillhouse High School), after which she received a full scholarship to study history at Notre Dame of Staten Island (later St. John’s University), where she was on the Dean’s List. She earned her Master’s Degree in History from Columbia University in New York City, and her Ph.D. from Yale University, in an era when female Ph.D.s were very rare. Over the years Ms. Fennelly was Head of the New Haven Historical Society, a member of the Junior League for Women, author and editor of several books and publications on ceramics and textiles, and in 1966 was elected to be a member of the prestigious American Antiquarian Society, which she felt was her greatest achievement. She also loved crewelwork, and one of her pieces won 2nd place at a Madison Square Garden event in New York. Aside from Catherine’s passion for history and textiles, she also was passionate about her dogs, which numbered 20 or so over the decades. All were cocker spaniels, and most earned championships. She was also an avid cook and gardener, and had a fine sense of humor. She enjoyed a rich life filled with a large family and many wonderful friends. As matriarch of the family, she has been the glue that has tied the family together; a shining part of her legacy. She is predeceased by brothers Richard Edward Fennelly and Joseph Patrick Fennelly. She is survived by her brother, Robert Francis Fennelly (Eleanor Ann), many nieces and nephews, and her kitty cat, Teddy. On Saturday, January 19th at 10:00 AM there will be a Mass in her honor at Our Lady of Mt. Carmel Catholic Church, 2819 Whitney Ave., Hamden, CT, where she had been a devoted parishioner for decades. Burial will be in St. Mary’s Cemetery on Evergreen Ave. in Hamden. To send flowers or a remembrance gift to the family of Catherine Mary Fennelly, please visit our Tribute Store. "Email Address" would like to share the life celebration of Catherine Mary Fennelly. Click on the "link" to go to share a favorite memory or leave a condolence message for the family.